The new 2019 INFINITI QX50 luxury crossover showcases an elegant design inside and out, coupled with powerful technologies that provide a versatile experience for all drivers. The exterior design is bolder than ever before and is sure to create a memorable first impression. The high-quality materials, an entirely new technological platform, and advanced craftsmanship add to the model’s appeal. Under the hood of the 2019 QX50 is a new VC-Turbo engine that delivers driving pleasure and efficiency at a fine balance. The QX50 offers Intelligent All-Wheel Drive along with new ProPILOT Assist technologies that will react discreetly in particular driving situations to support and protect the driver and passengers. These technologies include Direct Adaptive Steering, Distance Control Assist, Back-Up Collision Intervention, Predictive Forward Collision Warning, Blind Spot Warning and Intervention, Lane Departure Warning and Prevention, and Forward Emergency Braking with Pedestrian Detection. INFINITI offers the QX50 in three trim packages—Pure, Luxe, and Essential—to give shoppers various options for pricing and upgrades. Test drive the INFINITI QX50 today at Baker INFINITI Charleston located at 1513 Savannah Highway in West Ashley. Plus, view our current INFINITI lease offers and specials on new 2019 QX50 models. 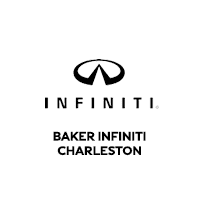 Baker INFINITI Charleston is the only INFINITI dealership serving Charleston, Mount Pleasant, Daniel Island, Sullivan’s Island, Isle of Palms, James Island, Summerville, North Charleston, and the surrounding areas.